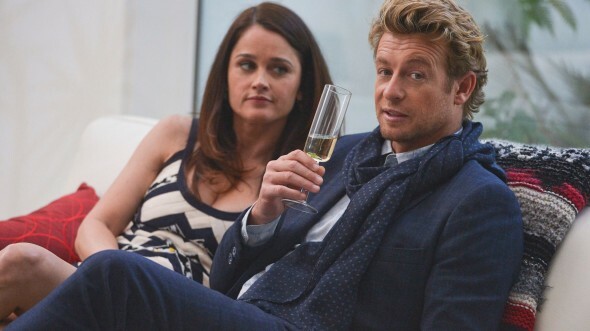 CBS has confirmed that The Mentalist is ending with season seven. The final season begins November 30th and will culminate with a two-hour season finale on February 18th. In other news, season six of Undercover Boss will launch on December 14th. The next seasons of The Amazing Race and Survivor will debut on February 25th. As part of a year-round strategy of more original programming and fewer repeats, CBS announced today the season premiere dates of THE MENTALIST and UNDERCOVER BOSS. Both programs will bridge the time periods between the fall finales and the spring premieres of SURVIVOR and THE AMAZING RACE. THE MENTALIST stars Simon Baker, Robin Tunney, Tim Kang, Rockmond Dunbar, Joe Adler and Josie Loren. Bruno Heller, Chris Long and Tom Szentgyorgyi are the executive producers for Warner Bros. Television. The two-time Emmy Award winner UNDERCOVER BOSS is produced by Studio Lambert/All3Media America. Stephen Lambert, Eli Holzman and Chris Carlson are executive producers. What do you think? Are you looking forward to the return of Undercover Boss and The Mentalist? Do you think that The Mentalist should be ending? More about: Blue Bloods, Blue Bloods: canceled or renewed?, Criminal Minds, Criminal Minds: canceled or renewed?, CSI: Crime Scene Investigation, CSI: Crime Scene Investigation: canceled or renewed?, Hawaii Five-0 (2010), Hawaii Five-0 (2010): canceled or renewed?, Madam Secretary, Madam Secretary: canceled or renewed?, Stalker, Stalker: canceled or renewed?, Survivor, Survivor: canceled or renewed?, The Amazing Race, The Amazing Race: canceled or renewed?, The Good Wife, The Good Wife: canceled or renewed?, The Mentalist, The Mentalist: canceled or renewed?, Undercover Boss, Undercover Boss: canceled or renewed? THERE ARE SO MANY SHOWS THAT CAN’T COMPARE WITH MENTALIST OR KEEP UP. 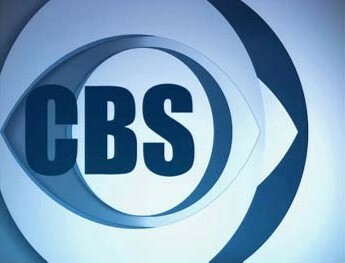 IHOPE ANOTHER STATION PICKS IT UP AND CBS SEES WHAT THEY HAVE LOST….. I WATCHED THEM HERE AND THERE WHEN MY DAUGHTER WAS OVER FOR DINNER. TO ME THEIR USELESS JUNK. PUT AMAZING RACE AND SURVIVOR ON SUNDAY AND SHOWS LIKE THEM. I NEVER MISS MENTALIST MADAM SECRETARY OR CSI. YES I HAVE WATCHED SURVIVOR AND AND AMAZING RACE AND SHOWS LIKE THEM WHEN OTHERS HAD THEM ON. JUST BRIEFLY. TO ME THEY ARE USELESS. After “How I Met Your Mother”, “Two and a Half Men” and “The Mentalist”, CBS needs to start announcing “final season” for some of its other veteran shows. If the original “CSI”, which is doing terribly on Sundays, miraculously gets renewed for a 16th (final?) season, you can start with that series. And after that, “NCIS” and “Criminal Minds” can be next. I don’t dislike any of these series, and I don’t even watch “Criminal Minds”, but when their time comes, all three of those dramas should wrap up their original runs in a manner that will respect their legacies. CBS YOUR ABOUT TO LOSE VIEWERS FOR TAKING OFF MENTALIST. MENTALIST IS A VERY GOOD PROGRAM. THEN YOU PUT JUNK LIKE AMAZING RACE AND SURVIVOR ON. NEVER HAVE WATCHED AND NEVER WILL. KEEP MENTALIST. If you never watched either Survivor or Amazing Race how do you know the programs are junk? Oh joy. More shows I don’t watch, some I never had. Some I stopped watching. The Mentalist should have been wrapped up by now. The Amazing Race once was good, but every new group is a repeat of the one before it to the point it is predictable and boring. Only the scenary was interested and that was not enough to keep me watching. Becky, no need to do it all in caps…. as for The AMAZING RACE…. this is an award winning show for adults w/brains and who love to travel, sorry it doesn’t interest you. This is my favorite show! SORRY FOR CAPS. SOMETIMES IT STICKS AND ALSO EASIER FOR ME TO SEE. AMAZING RACE NEVER LIKED IT, DON’T WATCH. I agree 100% with YOU!!! Can’t wait to see how The Mentalist is going to end. Last season was a huge disappointment. Love the show. It’s very interesting. Hope it stays on for along time.